Roxbury Preparatory Charter School in Boston was by far the most apt to suspend, subjecting nearly 60 percent of its students to out-of-school suspensions during the 2012-2013 school year. City on a Hill Charter School in Boston came in second with a rate of 41percent; followed by the now-closed Spirit of Knowledge Charter School in Worcester with 27 percent, and UP Academy Boston with 26 percent. Matthew Cregor, a staff attorney with the lawyers’ committee, called the findings startling. “Given the steps parents take to enroll their children in charter schools, they shouldn’t be fearful of having them pushed out,” said Cregor, who authored the report with Joanna Taylor, a Brandeis University doctoral candidate. A look at how many students in each school district in Massachusetts faced disciplinary measures from 2012-2013. Charter school leaders defended their use of suspensions, calling it a necessary tool for discipline. Students, they say, are typically suspended for only a day and absorb an important lesson on the seriousness of behaving in school and following rules so they and their classmates can focus on learning. In response, the lawyers’ committee commissioned the report to establish a baseline on student discipline, and it concluded that many schools suspend students too frequently and need to rethink their approach to discipline. The report found that 72 percent of the time charter and traditional schools were punishing students with suspensions for nonviolent, noncriminal, or non-drug-related incidents. Those acts can include violating dress codes, being tardy frequently, or cursing. The report also raised concerns about disparities in disciplining students of different demographics. Disabled students were more likely to be disciplined than non-disabled peers, while black and Latino students were at least three times more likely to be disciplined than white and Asian peers. 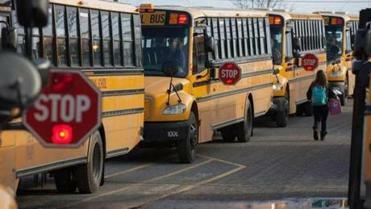 About 5 percent of the state’s schools accounted for half of the disciplinary actions in the 2012-2013 school year. Many charter schools stress a “no-excuse” approach to strict discipline, which they uphold as one of several strategies for high academic achievement. Many of the charter schools with high suspension rates also have among the highest MCAS scores in the state. State education officials said Tuesday they had not seen the report yet and could not comment on it. But they said they have been taking a look at suspension rates at charter schools and found in most cases that students are staying at the schools regardless. “If you go into these high-achieving charter schools, the conduct in the classrooms and hallways is very striking — it is a very positive setting with very little of the disruptions you see in other urban schools,” said Jeffrey Wulfson, a state deputy education commissioner. One strategy to address problems proactively is called restorative justice in which schools bring students together to talk about issues daily, building community and respect. The Boston school system has been rolling out that strategy at a growing number of schools in recent years. Just over 6 percent of students in the district received out-of-school suspensions in the 2012-2013 school year.